Did you know that we have an International Acts of Kindness Day that is celebrated in February? Random Acts of Kindness Day is a day to celebrate and encourage random acts of kindness. However, we should celebrate Kindness Day every day. I received a complimentary copy of this book for purposes of review. All opinions are my own. Read my full disclosure here. With that being said, Anna from The Imagination Tree came up with the idea of a “sweet-natured alternative to the “naughty elf” tradition, with a positive message of emphasizing kindness, sharing and gratitude within our children” and hence, the The Kindness Elves™ was created. The Kindness Elves are magical friends who love nothing more than to sprinkle kindness and joy wherever they go! They love to visit your home and spread this happiness with children, encouraging them to do small acts of kindness in their daily lives. The best part of Anna’s initiative is that she actually has a book out! The main characters? The kindness elves! They are the cutest characters sprinkling their kindness throughout the story. The book is full of colorful, and vibrant illustrations. This book is sure to be a hit with little ones, and older ones just like mine. Since my son was little we’ve been doing random acts of kindness. Such as, Giving Tuesday, and even gifts for the elderly. This new book has sparked my son’s interest in continuing to show acts of kindness every day. You can also use this book at home or in a school setting to encourage children to be kind. Anna is so awesome that she even has a 25 Spring Acts of Kindness free printable! 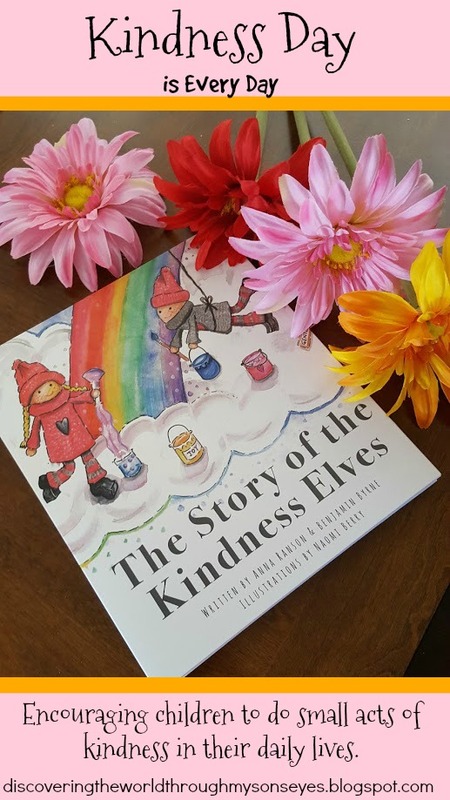 You can follow The Kindness Elves on their Facebook page here and on Instagram here.